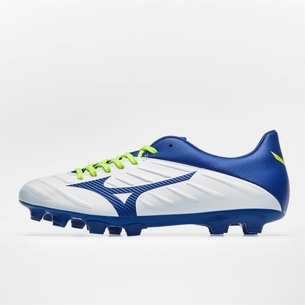 Looking to lace up in a brand new and pair of Mizuno boots, then choose the first generation of Rebula 2 V2 SG Football Boots in White, Mazzarine Blue and Safety Yellow. 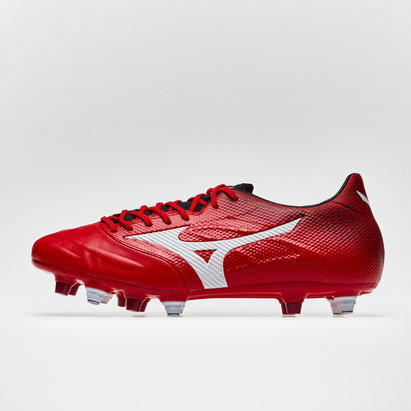 First things first the design has stayed classy, the majority of the boot is red with touches of colour with the white Mizuno badge and the black sock liner. 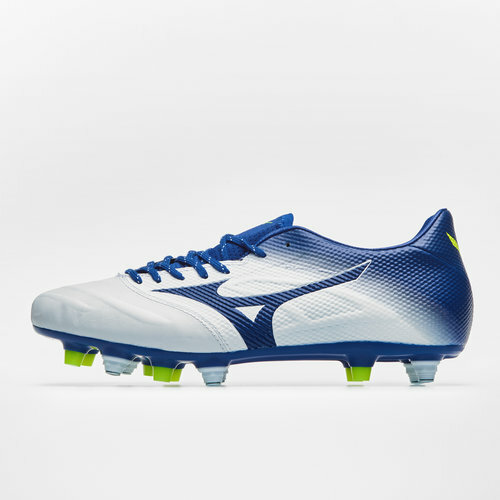 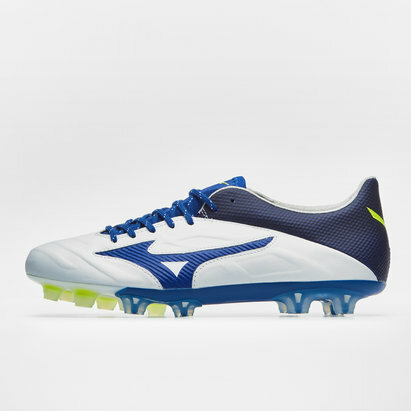 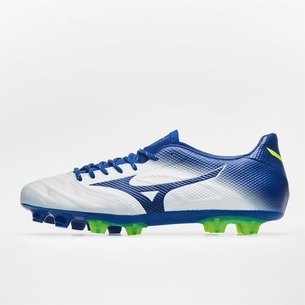 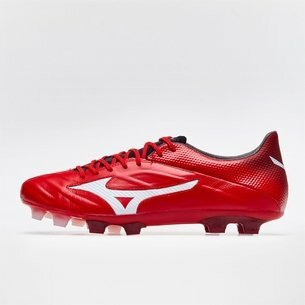 The football boots is also wrapped in the Mizuno K-Leather which has raised detailing all around the boot, creating both a sleek design and better touch on the ball. 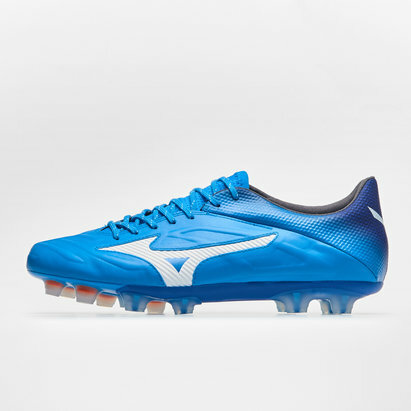 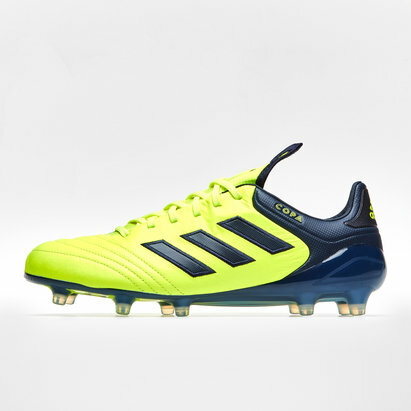 Made for the agile playmakers, any player in the back line would benefit from the improved ball control. 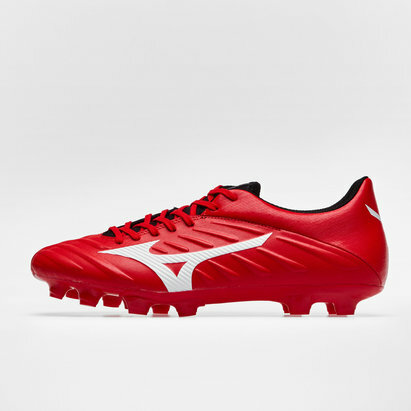 Kicking will become more accurate whether from a tee or out of hand. 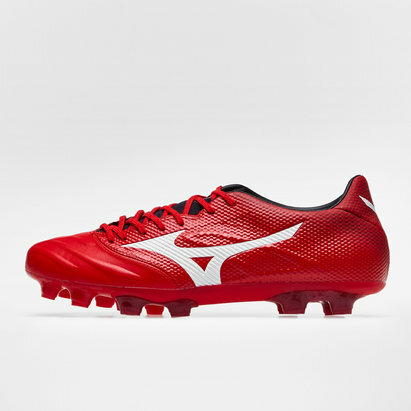 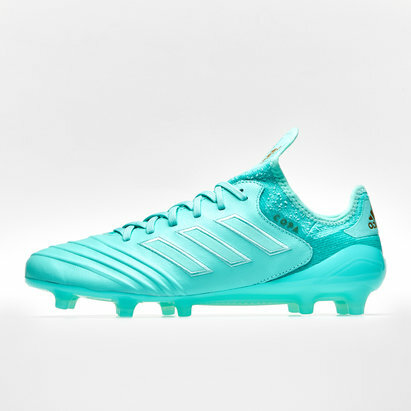 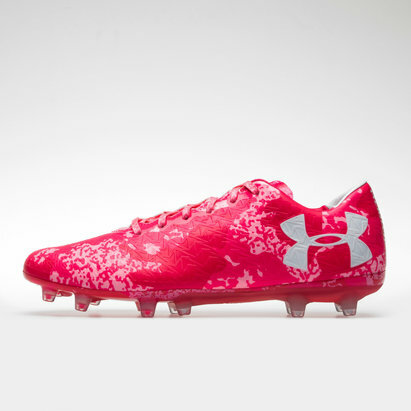 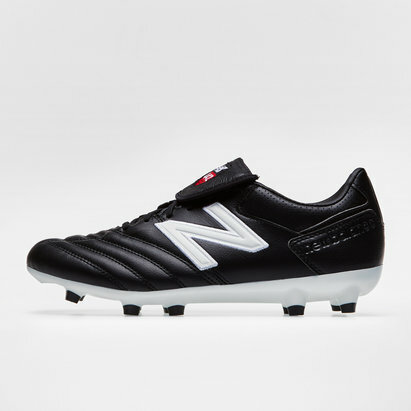 Be confident in the comfort of the boot, last the whole 80 minutes with no dips in performance.